Why don’t you pick up a new hobby that’s unlike anything you’ve ever done? Recently, I’ve had the strongest desire to learn how to do parquetry. I have no experience with this art form, none of the necessary tools, or even a basic idea of what I’m supposed to do, but I think I’m going to give it a go once I get my workroom in order. Why don’t you start planning out your New Year’s Resolution. Nothing boring like weight loss, thank you, something interesting like learning how to make shoes or dance the salsa or play the marimba or make stained glass windows or hypnotize people. Why don’t you make an appointment for some kind of new age medical healing? I’ve always wanted to get acupuncture. It seems kind of fun. I don’t know why I need it, but I’m sure something in my body needs realigned. I wouldn’t mind an aura cleansing, either, or a chakra massage. Why don’t you bombard your credit card companies with requests for chip and pin credit cards? We Americans are cursed with cards that must be swiped. This is inhumane! Chip and pin cards are the future. Whenever I’m in Europe, I’m envious. SO ENVIOUS. I will find a way to get one before I get to Europe next year. My mother has one. SEETHING WITH JEALOUSY. Anyway, I’ve just sent off another pleading letter. Fingers crossed. Why don’t you make vast vats of soups for these horrible wintry evenings? Last night, I made lentil and chickpea soup that was a vegetarian version of a Moroccan lamb stew and it was wonderful. I can’t wait to get home so that I can scoop up several hearty bowls. Soup is my favorite food. 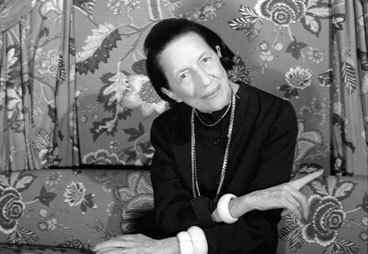 Tags: advice, Diana Vreeland, food, health, Why Don't You?